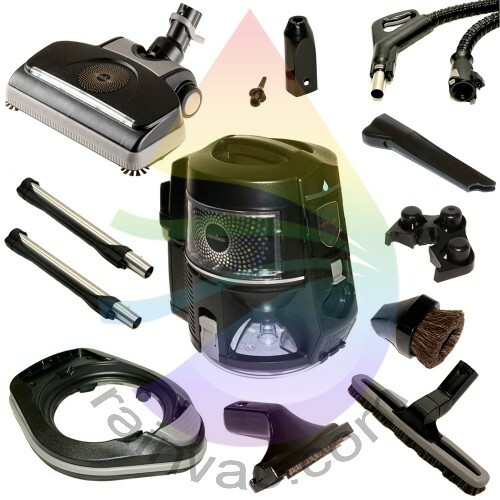 You are here: Home » Rainbow Vacuum Cleaners » What Are The Key Advantages Of A Water System Vacuum Machine? Posted by Steve Morgret on November 2nd, 2013 22:53pm in Rainbow Vacuum Cleaners. Last Updated on January 19th, 2018 07:44am. Not every household cleaning tool can boast that it can freshen and cleanse the air while it is in use, but some of the leading water based vacuums can do exactly that without adding extra work! Freshening the air has a number of benefits that can be felt immediately, but may also be noticed over the hours and days after vacuuming a room. The biggest benefit is that the room will smell fresh and clean right away! Being able to freshen the air quickly just by running the vacuum can also be a real life saver when cooking foods that have strong odors. Instead of reaching for messy sprays or smoky incense, just run the sweeper! An added bonus to this is that it is also possible to use scented fragrances with some water based systems. This allows you to fragrance each room within minutes while you clean! One of the biggest advantages of a water system vacuum machine is that they are very flexible when it comes to cleaning the home because they often have a number of attachments and products available. The most common product available is a basic cleansing solution. This solution can be used to freshen the air without leaving heavy fragrances behind, as well as remove debris and dirt from carpets. For more difficult stains, there are also specially formulated products that remove stubborn stains and ground in dirt from rugs and carpets without the need for heavy scrubbing or harsh chemicals. Carpet foamers are also popular products for those who have a model that includes a carpet shampoo attachment. This handy attachment replaces the need to own a separate electrical household appliance for carpets. Other useful attachments that really boost the cleaning capabilities of the vacuum include upholstery tools and crevice attachments. These attachments make it easy to clean furniture and in small areas in no time! There are a number of other creative ways to clean with a water based system, such as using the machine to water plants, wash windows, or even clean delicate items like window treatments or rugs. These attachments may be included with the unit, or in some cases, may be purchased separately. This gives owners far more flexibility than traditional upright sweepers tend to offer. Cheap vacuums often break quickly or tend to die within a few years of use. Because of this, it ends up costing even more money since it means it will have to be replaced or repaired regularly. Instead of constantly throwing away money on repairs or replacements, many are starting to see the benefits of choosing higher end vacuums that are durable and built to last for many years. Because they are built to last, they often need fewer repairs, and can withstand even heavy use without needing expensive replacements or repairs. This is perfect for those who clean their floors several times per week. For some, this is one of the biggest advantages of a water system vacuum machine because it means they can shampoo carpets or sweep the floors as often as they need to without worrying about wearing it out.